Uniqueness of this attraction Ulu Serting Recreational Park is one of the few famous recreational parks you can find in the state of Negeri Sembilan. It is located in the Jempol district and is surrounded by the Ulu Serting Reserve Forest. From the main town of Seremban, it takes 1 hour and 15 minutes by road to this area. 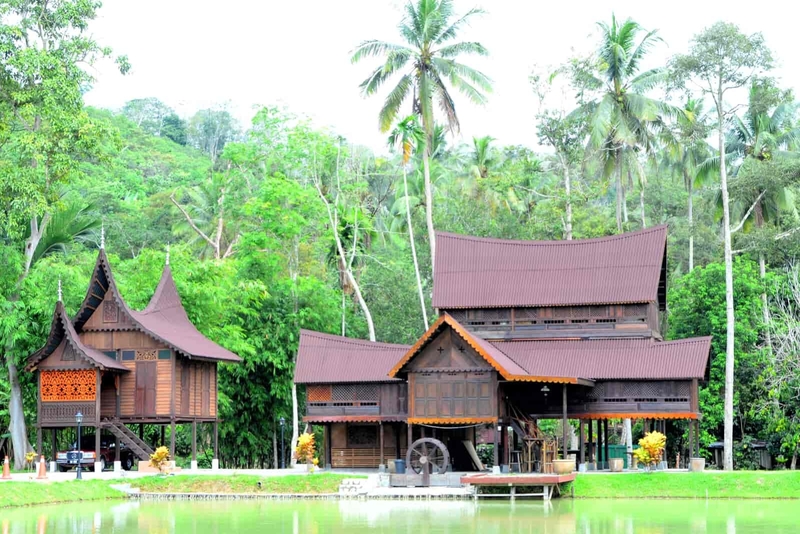 Before even arriving at the park, you will pass through roads with all the houses built using the style of traditional Minangkabau architecture - a style unique to the district of Negeri Sembilan. The interesting part about this park is that it is essentially in the middle of a tropical rainforest, with a river stream cutting through it and a famous waterfall nearby called Air Terjun Serting Ulu. Other facilities such as free parking, food stalls, and rest huts make it an ideal place for a picnic or family vacation. You can enjoy a variety of activities in the park whether it is trekking, swimming or just lounging around, there’s something for everyone to just drop by for a relaxing trip away from the city or experience new things here. Other things to do here? Located 20 minutes away by car in the small town of Batu Kikir, here lies Teratak Zaa’ba, a museum dedicated to the life and legacy of the man who modernised Malay language named Zainal Abidin bin Ahmad. If you are a literature or history buff, this will be a great stop for you to explore more about the famous author and his works. Getting around Ulu Serting Recreational Park is a well known area to the locals so finding a taxi cab to bring you there won’t be an issue. There isn’t any public transport options such as a bus leading to the park. Add your content...Try not to go alone. As a safety tip for hiking to the waterfalls or just a visit to the area, it’s best to go with a few friends. There a few stalls set up near the park selling simple meals for breakfast and lunch. There are sites where you can stop for a picnic. If you plan to do so, remember to bring all needed equipments and prepared meals. As this is a well known spot among locals, it might be crowded in the area nearby the river and waterfalls on weekends. Malaysian public holidays are their time to take a dip and hang out with their family or friends here too. It is best to stop by Ulu Serting Recreational Park if you have other trips arranged for the day. You can either start your day by coming here for a fresh morning dip in the rivers or later in the evening before it gets dark. If you plan to swim, don’t forget to bring spare clothes to change. This well preserved rainforest is ideal to include in your day trip if you are a nature lover who wants to experience idyllic views and enjoy some water fun. There are no reviews on Ulu Serting Recreational Park. If you’ve been here before, write a review to share your experience.